Unbelievably, we are at the end of the Spring Term and what a busy term it has been. Our first topic was, ‘Can we Help?’ and it was all about the people who help us in our community and the wider world. We began with a real life crime scene; we looked at clues and used our imagination to decide who the culprit was and what they had done. This led to wonderful discussions about right and wrong and onto the job that Police and other members of our emergency services do. We had a visit from a Paediatric Nurse, who told us all about the job she did and we were very excited to handle all the equipment and try it out on our friends. Then we had a visit from a Policeman, who brought different hats, a radio, handcuffs and a Police whistle. He told us about his work and lots of funny stories about what Policemen wear under their hats! We talked about the people who work in our emergency services and how they are like real life ‘Super Heroes’. We talked about what this actually meant and talked about what it might be like to be a ‘Super Hero’. We turned ourselves into ‘Super Heroes’ and wrote about our super powers. The end of the first half term brought Chinese New Year. We talked about different cultures and how they have their own celebrations. We thought that the Chinese community celebrated New Year in a very similar to how Britain celebrates New Year. Both have parties, nice food, dancing and fireworks. People visit each other and wish them well for the year ahead. We looked at the Chinese calendar and found out the animal that we were born under. We then looked at the characteristics of the animals and wrote about it in our books. Our topic for the second half term was ‘Land Ahoy’. On the first day we received a letter in a bottle from the class teddies; they had been captured by pirates and were asking us to help them escape. We wrote letters to the pirates asking for their safe return and made wanted posters to put up around the class. We made treasure maps, telescopes and painted pictures of pirates and pirate ships. We labelled the parts of a ship and found out about the different places pirates went and how they captured other ships on the high seas. We thought about what it might be like to be a pirate, gave ourselves pirate names and thought about what kind of pirate we would be. The last week of term was ‘Enterprise Week’ and we made Easter Egg fridge magnets to sell. 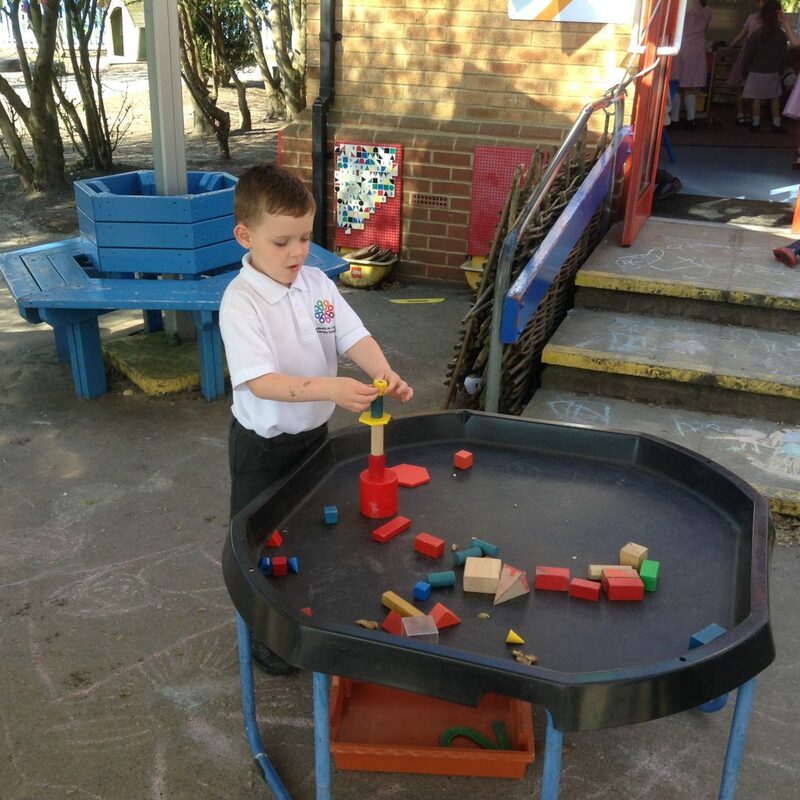 We had great fun making our magnets and were delighted at how popular they were. We have had an amazing term, we have learnt so much and had lots of fun. We hope you have a lovely restful break, with lots of eggs from the Easter Bunny. We are looking forward to the Summer Term, where we will have even more fun and learn lots of new things.